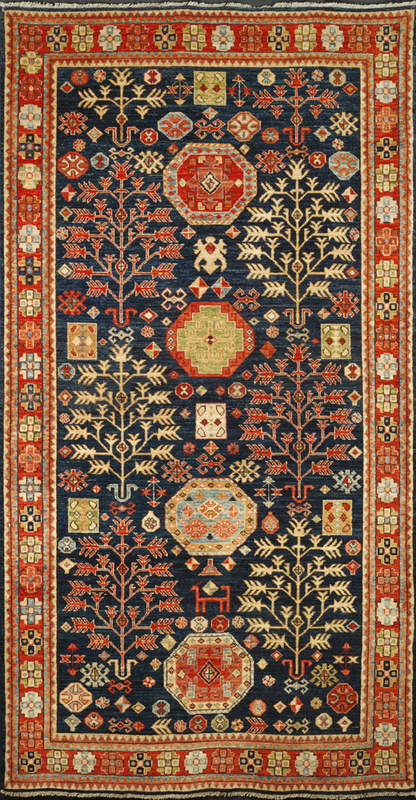 This Gallery size Bakshaish “Tree of Life” design is hand knotted in Afghanistan using Ghazni wool and natural vegetal dyes by Hazara tribal weavers. SKU: 20785. Category: Tribal Geometric. Tag: 6x9.